The dog days of summer are upon us. That means sports, running around, lots of outdoor fun and sometimes unwanted exhaustion from the sun. It’s easy to forget about hydration and healthy snacking when you’re constantly on the go. 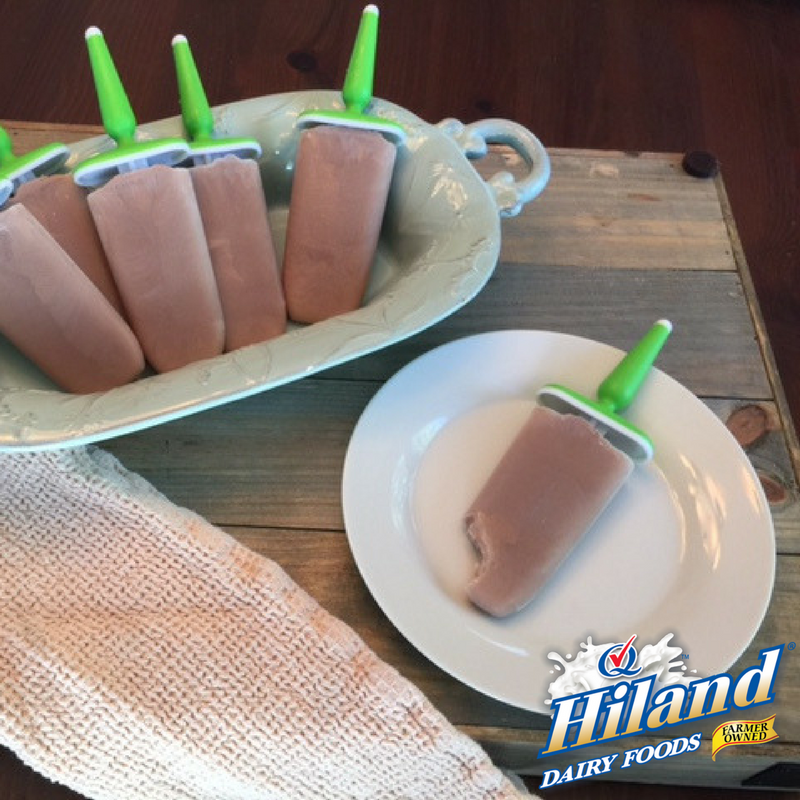 That’s why I make these nutritious snacks that make everyone smile: chocolate “milksicles” using Hiland Dairy Chocolate Milk! They’ll replace fluids and electrolytes lost during play – plus kids will gobble them up as a cool summer snack. Win-win! 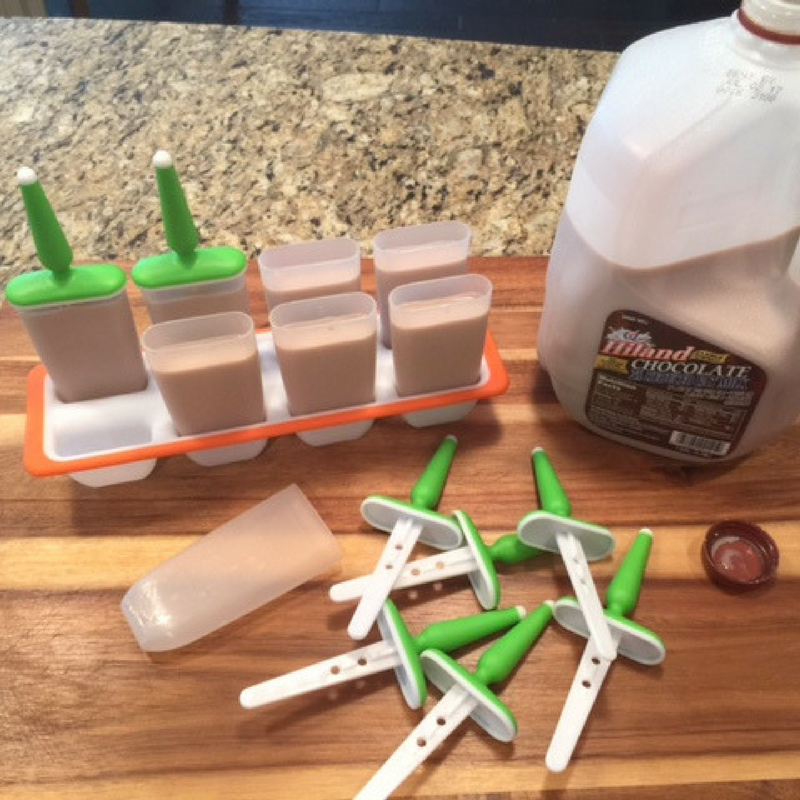 Pour chocolate milk into molds. Tip: Be sure to leave space at the top for expansion. 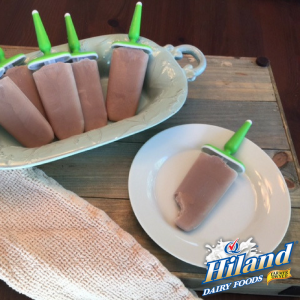 Try making these with other Hiland Dairy flavored milk, like Hiland Dairy Strawberry Milk. And, don’t forget about Hiland Dairy’s seasonal milk flavors! The best part? All Hiland Dairy Milk is packed full of protein, plus nine essential nutrients!